You are here: Home » Tag "Natural Allergy Elimination"
Tired of struggling with allergies?? 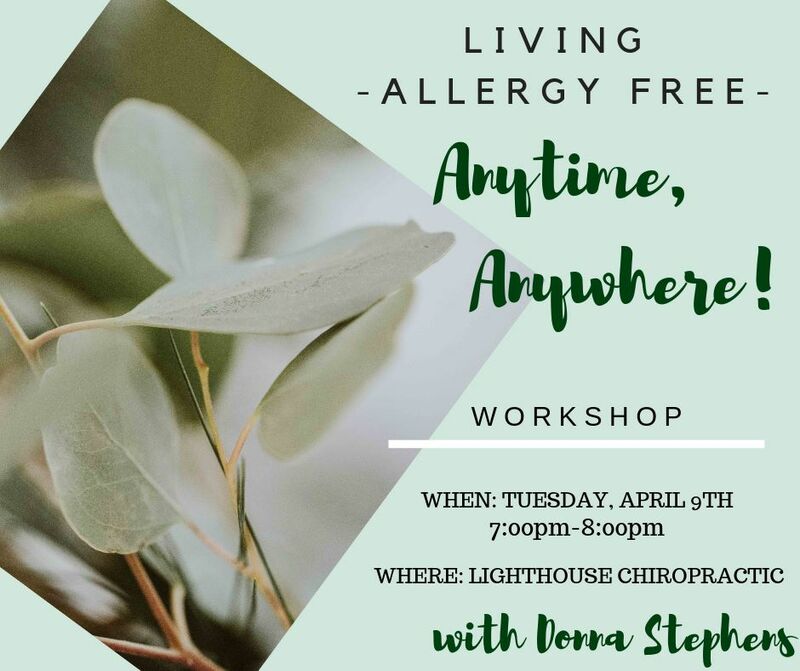 Donna will be sharing her expert knowledge regarding allergies and how to eliminate them naturally on Tuesday, April 9th, at Lighthouse Chiropractic located at 7310 Heritage Village Plaza, Suite 101…just a few doors down from our Gainesville Office. Check out this video interview discussing Natural Allergy Elimination with Dr. Michael Gaitonde from Lighthouse Chiropractic on our Facebook Page: https://www.facebook.com/purenwell/. Please RSVP to frontdesk@purenwell.com to let us know you plan to attend. Looking forward to seeing you there!! 2016 is drawing to a close, and as we reflect on the past year we are grateful for so many things: challenges have been faced and overcome; clients have been helped to improve their health and overall wellbeing; and the move into our new main location in Gainesville has been a success, to name just a few! 2017 is bound to present us all with more challenges…in fact, without these we are not stretched and we don’t experience the growth and change essential to living life to the full. Our wish for you in the coming year is that you will experience a new level of health and wellbeing which will enable you to face life’s challenges with greater confidence, peace, and joy.